After the boom in the Mississippi timber industry and its decline in the 1920s, new developments on the land and in forest knowledge produced a rebirth of the forest products industry in a relatively short period. Americans began to grow concerned about cutting forests without providing for their regeneration. Fears of a looming timber famine—as well as Progressives’ penchant for the idea of managing society efficiently and rationally—created an interest in European forestry. Europeans had long managed forests to ensure their health and continued productivity, and a few Americans were inspired by their example. Gifford Pinchot briefly studied at a French forestry school before returning to the United States and becoming the first chief of the US Forestry Service. Prussian forester Carl Alwyn Schenck came to North Carolina to manage George Vanderbilt’s forestlands and establish the Biltmore Forest School. Pinchot’s family funded the new Yale Forest School, and a third early forestry school was created in New York. 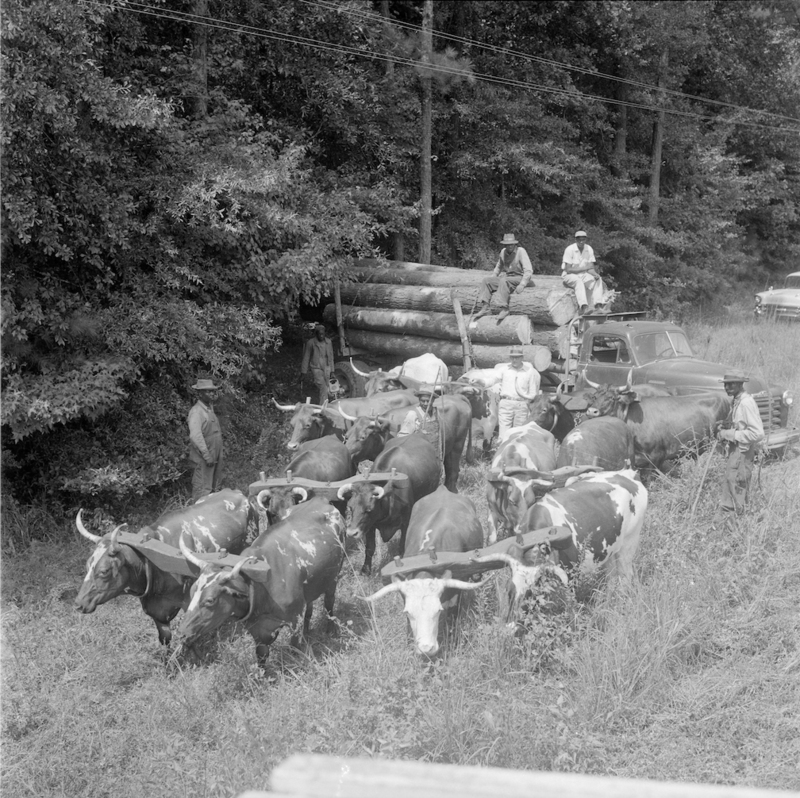 The prevailing philosophy among the early professional foresters was “wise use,” and forestry education typically included a good deal of fieldwork, usually conducted in spring or summer “camps.” Yale had an especially strong impact on the South, conducting an annual summer camp on the lands of Louisiana’s Urania Lumber Company and later those of Arkansas’s Crossett Lumber Company. Urania’s Henry Hardtner, to the derision of most of his contemporaries, began to practice selective cutting and reforestation, managing his forests on a permanent or “sustained yield” basis. Inspired by the Urania example, the Great Southern Lumber Company of Bogalusa, Louisiana, which depended on both its home state and Mississippi for timber, undertook the largest reforestation effort in the South up to that point. At Yale, Prof. Herman H. Chapman became an expert on the growth and management of southern pine, training generations of foresters who went to Mississippi and other southern states with a sense of mission to manage and rebuild the forests. In addition, Mississippi’s Posey Howell and other self-trained local foresters learned about the life cycles of the forests on the ground while working in the lumber industry. Another important factor in the regeneration of the forests was the discovery of new uses for timber in the early twentieth century. In Georgia, Charles Holmes Herty developed a process for making paper from southern pine, while in Laurel, Mississippi, William H. Mason’s experiments produced the process for manufacturing Masonite, which became a popular fiberboard product. Both of these industries created markets for young and marginal trees, thus reducing the time cycle for managing a forest from planting or natural regeneration to producing revenue. Landowners and managers discovered that far more timber remained on cutover and marginal lands than they had realized. Leaving only a few seed trees meant that the pine forests would regenerate naturally, and trees grew in Mississippi’s warm and moist climate far more rapidly than most observers had expected. By the late 1930s Mississippi’s second-growth forest was nearing maturity. The activities of the Yale Forest School and a few pioneering lumber companies inspired foresters and other lumbermen to believe there might be a profitable future in regeneration and selective cutting of their timberlands. The State of Mississippi began to put its weight behind the reforestation effort. In 1926 Gov. Henry L. Whitfield, concerned about the disappearance and condition of the state’s forests, pushed for the creation of the State Forestry Commission. Soon, lookout towers were constructed and educational programs were conducted to fight Demon Fire. The state offered a ten-year tax exemption on lands devoted to reforestation. The Mississippi Forestry Association, an organization of forest landowners and companies, was born in 1938 and joined the State Forestry Commission to promote wise use through a variety of programs and publicity. In 1954 Mississippi State University established a School of Forestry. The “tree farms” program encouraged landowners to put trees back on the land and manage forests responsibly. As a result of these efforts and the speed with which Mississippi’s trees grew, by the 1950s more than half of the state’s land area—some 16,508,900 acres—was covered by what came be known as the third forest. More than three-quarters of some counties was covered by trees—longleaf and slash pines in the south, shortleaf and loblolly pines in the northern hills, and hardwoods in the Delta and northern valleys and prairies. By 1959 Mississippi had only 117 pine sawmills, but more than half were at least medium-sized (with annual production of more than two million board feet annually). The small “peckerwood” or “muley” mills that had sold to concentration yards were disappearing. The state also had six large pulp mills. The number of facilities subsequently declined, so that only ninety-two sawmills remained in 2002, although six pulp mills still functioned. Big companies came to be the order of the day. For example, Weyerhaeuser bought out the long-established Molpus and DeWeese lumber companies of Philadelphia, Mississippi, a phenomenon repeated elsewhere around the state. Ironically, some of the companies that had abandoned Mississippi for the West, such as those of prominent lumberman Edward Hines, now returned and established major presences. By 1958 only three southern states exceeded Mississippi in total lumber production. Attracted by low land and labor costs and abundant water, International Paper, St. Regis, Weyerhaeuser, Great Northern Nekoosa, Georgia Pacific, Louisiana Pacific, Crown Zellerbach, Champion, and other pulp and paper companies moved into the state, making it a major paper producer. While the forest products industry experienced ups and downs as a consequence of the dynamics of the market, large companies harvested substantial quantities of timber and maintained significant staffs of foresters and other professionals to keep the lands productive. In the forests, genetics and improved management techniques improved timber productivity, while new machinery and processes enabled faster and greater harvesting and processing. Chipping mills and other developments increased the variety and manufacturing techniques of the forest products industry. By the turn of the twenty-first century, Mississippi’s roughly 18.5 million acres of forestland covered approximately 62 percent of the state. One in four of the state’s manufacturing jobs was in the forest products industry, and nonindustrial private landowners controlled the majority of the forestlands. During the latter part of the twentieth century the burgeoning environmental movement began to affect Mississippi. The forest products companies and community became more conscious of public relations. Companies adopted responsible harvesting techniques and began to manage the forests under guidelines called the Sustainable Forestry Initiative. “Green-certified” products were marketed as having been produced in accordance with good environmental practices. Companies started to manage their lands to provide benefits in addition to timber, such as recreation, wildlife management, and aesthetic enjoyment. The Nature Conservancy and other groups worked with private companies to acquire some timberlands for public use and preservation. After decades of fearing a future timber famine and of maintaining large forest land bases and armies of professional foresters to manage these lands, major companies began to dispose of the lands, with plans to secure their timber requirements from other landowners, including some in other countries. International Paper closed its Moss Point paper mill in 2001 and in 2003 had a reported 200,000 acres of forested land on the market in Mississippi, part of an anticipated sale of 1,500,000 acres across the South between 2002 and 2007. In 2006 the company announced plans to sell thirteen lumber mills in the South to a company headquartered in British Columbia. Other industry companies also rapidly disposed of their lands during this period, with more than half of the sales to institutional investors, such as timber investment management organizations and real estate investment trusts. The reasons for divestiture included poor stock performance, pressure to increase shareholder returns, debt reduction, tax considerations, and minimization of capital gains. Also contributing were decreasing international demand for US timber products, industry consolidation, fear of hostile takeovers, and depreciation and closure of older processing facilities. Ironically, Richard Molpus, a member of one of Mississippi’s prominent early lumbering families, became head of a firm brokering land sales from forest products companies to investment organizations. Differing investors’ objectives meant that the future of these lands was uncertain, but aging of landowners and worries that lands were being mismanaged, fragmented, and sold for nontimber development caused some concern. In addition, Hurricanes Katrina and Rita killed or damaged an estimated 320 million trees in Mississippi and Louisiana. Thus, the first two decades of the twenty-first century have represented an unsettled and transitional time for the Mississippi forest products industry.